A guide to help patrons and staff with downloading and reading ebooks on ereaders. As we sometimes have to explain to our students, ebooks are "real" books that you could find in print at a bookstore or another library. Students sometimes worry that because these books are on the internet, then they're not reliable sources. Our libraries have invested heavily in ebooks to meet the needs of our students who are not on campus for extended periods of time, and also to provide access to larger book collections within the physical space constraints of our libraries. eBooks also provide advanced features, such as full-text searchability, which make them valuable research sources! Our libraries provide access to tens of thousands of eBooks through a variety of sources! 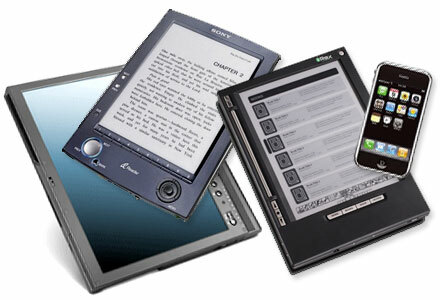 Many of them may be downloaded to a variety of eReaders (Nook, iPad, Kindle, etc.). This guide will help you find, download and sync books with your electronic devices.